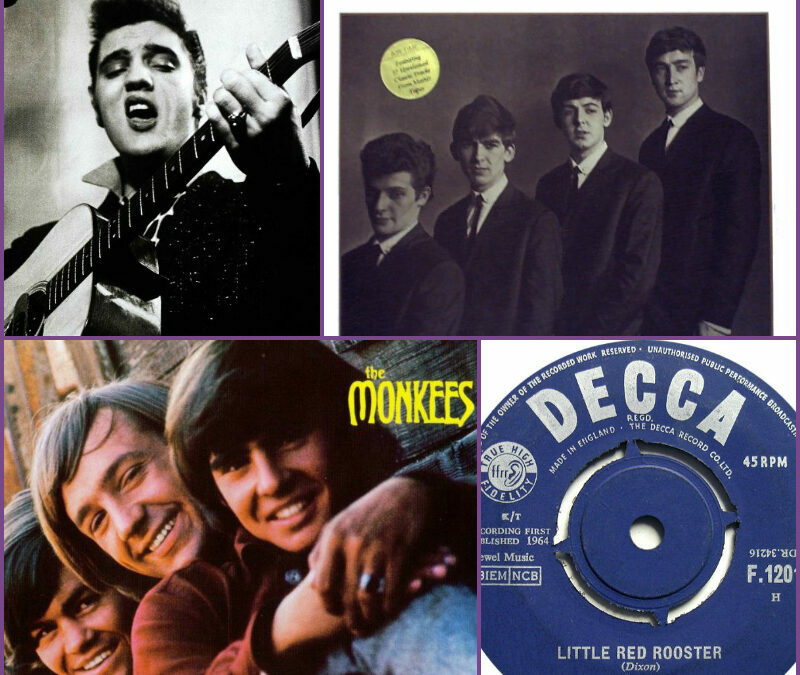 This Week In Music History – Elvis, The Beatles, The Rolling Stones & More! 1955: Elvis Presley is named Most Promising Country & Western Artist in Billboard’s annual poll of disc jockeys. This same week songwriter Mae Axton plays Elvis a demo of her new, definitely non-country song, “Heartbreak Hotel”. It’ll become The King’s first major pop hit a couple of months later. 1959: Johnny & The Moondogs fail to make the final elimination round in Manchester for British television’s TV Star Search. Because the band lacks money to cover a hotel room for the night, they hightail it back to Liverpool before the final vote is taken. It’s the next day before the lads who will later morph into The Beatles learn that they failed to move the needle on the “clapometer” far enough. 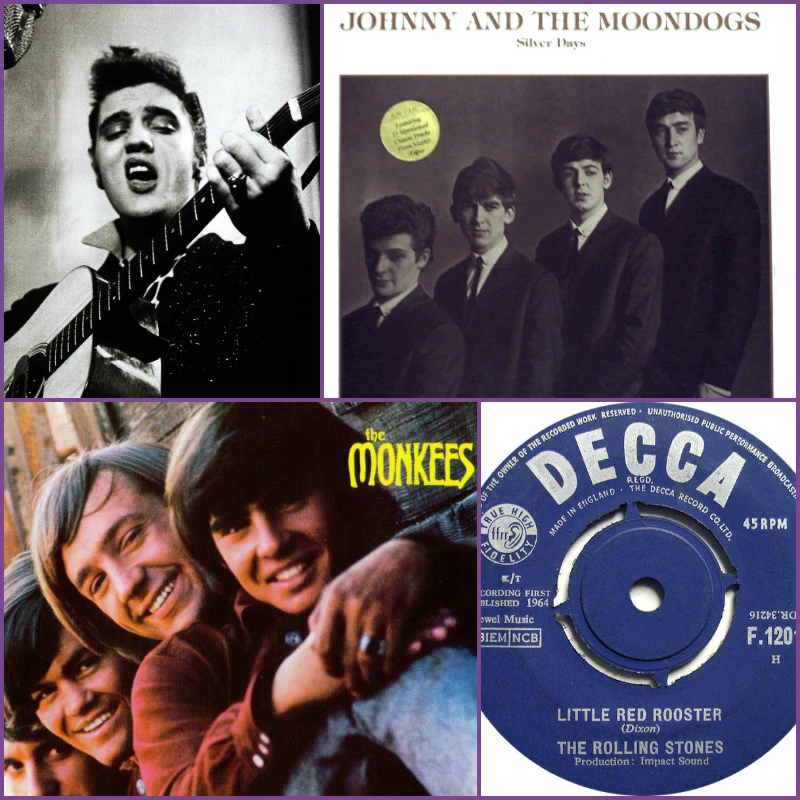 1964: Britain’s Decca Records releases The Rolling Stones single, “Little Red Rooster”. Written by bassist and producer Willie Dixon and recorded by the Stones at the legendary Chess Records studio in Chicago, has the distinction of being the only blues tune to top the UK pop chart. 1976: Rod Stewart’s single “Tonight’s The Night” takes the top spot on the pop charts. The song features sultry whispering by Stewart’s girlfriend, actress Britt Ekland. Some radio stations refuse to play it since the lyrics refer to the seduction of a virgin. Tino Productions was recently heralded as “The best sounding and most versatile band on West Coast” by Southern California’s own Orange County Register. Whether you’re a newly engaged bride planning your upcoming wedding, a wedding planner looking for a reliable vendor partner who will make you look brilliant, or a corporate event planner looking to put together your next big gala, Tino Productions can design the perfect musical performance. Serving Orange County, Los Angeles County and surrounding Southern California areas, we specialize in taking your wedding, event, party, fundraiser or corporate party, to another level of style and entertainment. We pride ourselves on creating an experience that will leave your guests talking, long after your event is over.Contact Tino at (949) 533-1006 for booking & arrangement options to make your next event the very best it can be!